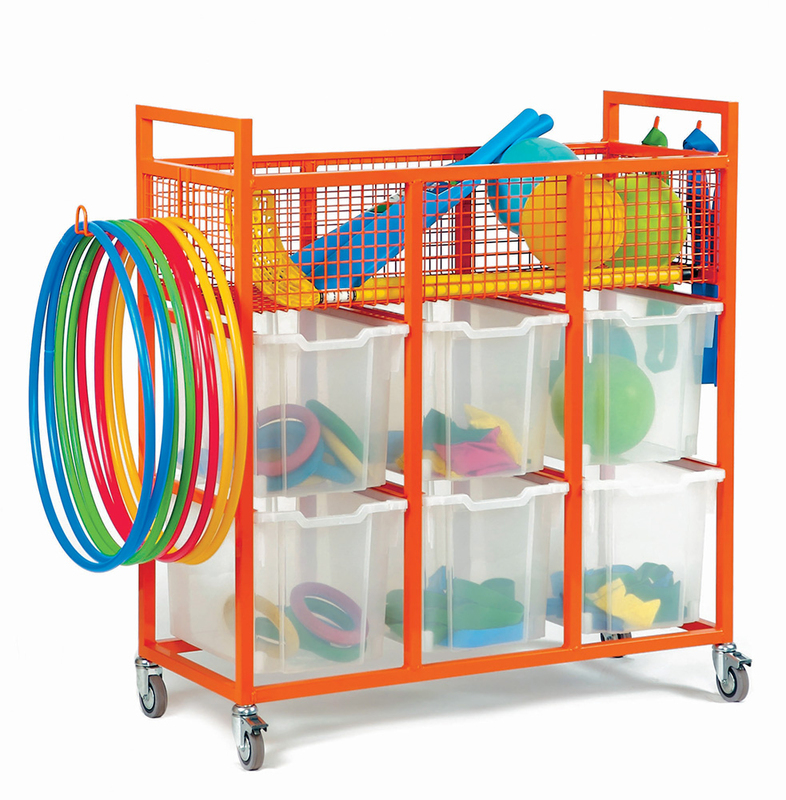 The school sports storage trolley is ideal for storing P.E. equipment and is perfect for use in schools. The fully welded steel frame is available in 7 eye catching colours and comes with rubber wheels which includes two brakes for easy mobility. The sports equipment trolley includes 6 jumbo Gratnells trays for keeping together loose sports equipment and handy hooks either side of the trolley for holding hoops and team bibs. The basket area at the top is ideal for holding bats and balls. Please note: multi-coloured trays are available at no extra cost. Any sports equipment featured in the product images is not included. Please Contact Us or call for more details on 01733 511121. View our full range of Storage Trolleys.